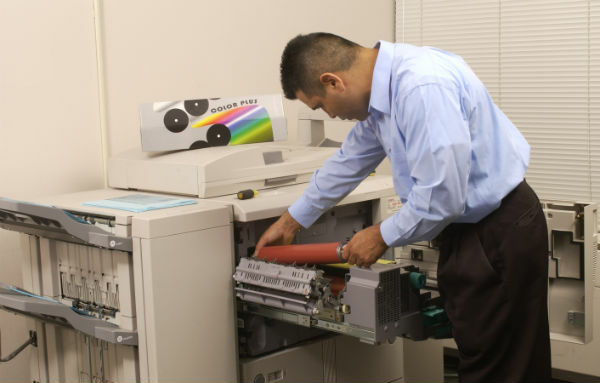 Digital Image Systems has been providing copier repairs since 2003. We have built a client base in the most demanding high production environments because we know how to fix copier machines and keep them running for a long time. This ensures that our clients get the most value for their money. Today’s document imaging equipment is made more reliable than in the past. Many of these machines are built to last many years into the future. You might not need to upgrade your current equipment. You might only need to catch up on some neglected maintenance or repairs. Let our trained technician evaluate and recommend an approach that will fit your needs and budget. Digital Image Systems has been selling and maintaining copiers and document imaging equipment in the Los Angeles and Orange County areas since April 2002. 75% to 90% of our customer base is comprised of production document imaging environments. These environments mostly consist of service centers that provide high volume document copying and document scanning services for attorneys. We have been successful in these high volume production environments because our customers recognize the high level of value we bring them. Namely efficiency and productivity. This is achieved by providing them with quality off-lease/pre-owned equipment, that still has many years of useful production. We also maintain these machines as they work in some of the most demanding production copying, printing & scanning environments. We would be happy to help you too. Just give us a call at (323) 268-6872. Digital Image Systems is a division of E.J.G. Associates Inc. We specialize in providing digital imaging and production color copying equipment. Division of E.J.G. Associates Inc.